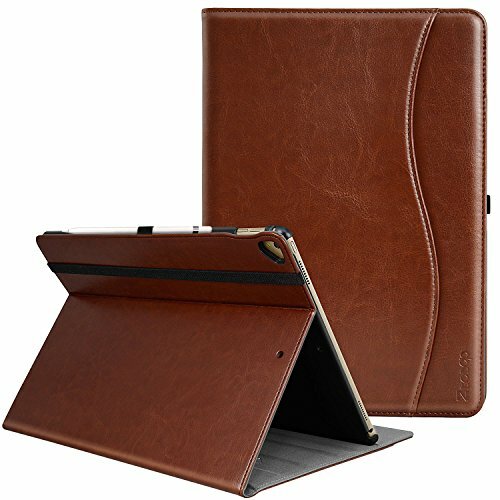 Well built to protect your ipad pro 12.9 inch 2017 for the years to come. 1.Ultra-thin PU leather, elegant and beautiful, easy to carry. 2.With magnetic closure and Multi-Angle Viewing Stand. 3.Automatically wakes or puts to sleep when the lid is opened and closed. Easy access to all features and controls. 4.Convenient stand position for watching movie or typing. All Ztotop products are guaranteed to give you 100% satisfaction in every way for 180 days from the date of purchase. If for any reason you are not completely satisfied, you will receive a replacement or refund. Multi - functional Features- Built in leather hand strap, pencil holder and organizer pocket. PLEASE NOTE - Exclusively designed for Apple iPad Pro 12.9 - inch Case (New 2017 Model) precise cut-outs, will NOT FIT other iPad models.